At least 236 residents of the former home in Aberlour are known to have been buried in common ground at St Margaret’s Church in the village. Children’s charity Aberlour, which can trace its formation to the orphanage, says the final resting places of the youngsters were originally marked with wooden crosses. No sign of the tributes remain today and now one former resident, who stayed at the orphanage in the early 1960s, has claimed that there were no crosses in the churchyard at the time either. And the man further alleges that although they were never told about the hundreds of children who were buried on the site they were shown stone crosses erected in memory of dogs belonging to Canon Charles Jupp, who founded the orphanage in 1875. He said: “The most galling thing was you were shown Canon Jupp’s tomb and these headstones to his dogs. The Aberlour Child Care Trust has already pledged to erect a permanent tribute to the children, who were buried between 1892 and 1947. A small stone memorial was unveiled in 2005 when a similar common grave at an orphanage in Lanarkshire was highlighted in the media. However, the tribute provides no information about the number of children or even that they are buried there. 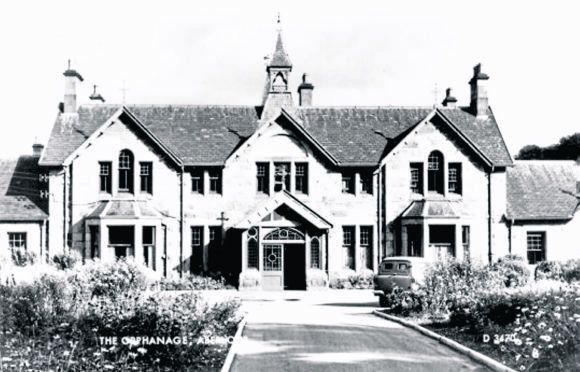 The orphanage was the largest of its kind in Scotland at its peak with about 600 children living at the facility. The history of the establishment is currently being investigated by the Scottish Child Abuse Inquiry amid allegations that residents were mistreated there. Sally Ann Kelly, chief executive of the Aberlour Child Care Trust, explained the wooden crosses had deteriorated over time and the charity was eager to hear from former residents and their relatives to establish a permanent one. She said: “Most clearly, we’d wish to include ex-orphanage residents in that conversation to make sure they are content with any proposals to honour their friends and relations.